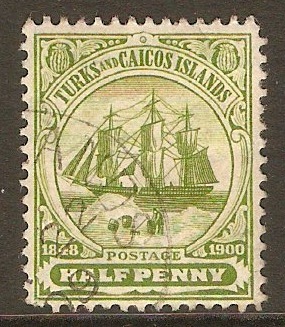 Turks and Caicos 1900 ½d Green. SG101. Fine used 1900 ½d Green. SG101. 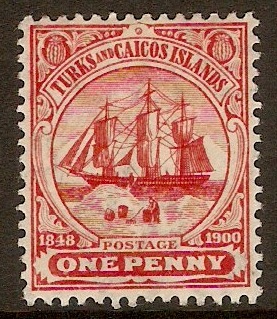 Turks and Caicos 1900 1d Red. SG102. 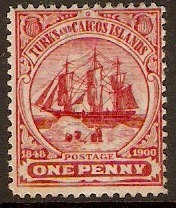 Unmounted mint 1900 1d Red. SG102. Turks and Caicos 1900 2d Sepia. SG103. Unmounted mint 1900 2d Sepia. SG103. 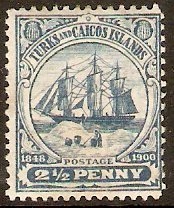 Turks and Caicos 1900 2½d Blue. SG104. Very lightly mounted mint 1900 2½d Blue. SG104. Turks and Caicos 1900 4d Orange. SG105. Lightly mounted mint 1900 4d Orange. SG105. 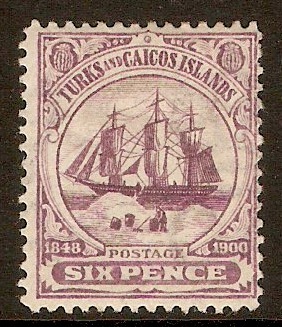 Turks and Caicos 1900 6d Dull mauve. SG106. Mounted mint 1900 6d Dull mauve. SG106. 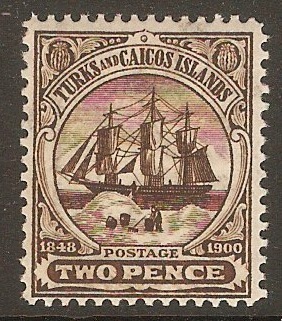 Turks and Caicos 1900 1s Purple-brown. SG107. 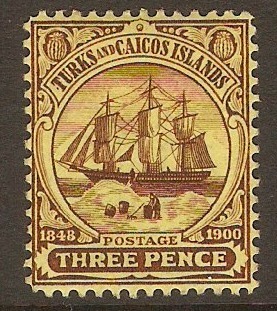 Mounted mint 1900 1s Purple-brown. SG107. 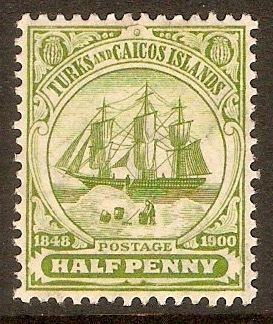 Turks and Caicos 1905 ½d Green. SG110. Unmounted mint 1905 ½d Green. SG110. 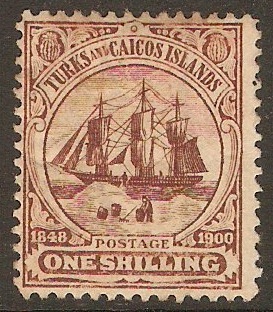 Turks and Caicos 1905 1d Red. SG111. Mounted mint 1905 1d Red. SG111. 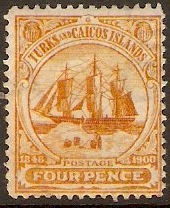 Turks and Caicos 1905 3d Purple on yellow. SG112. Mounted mint 1905 3d Purple on yellow. SG112.